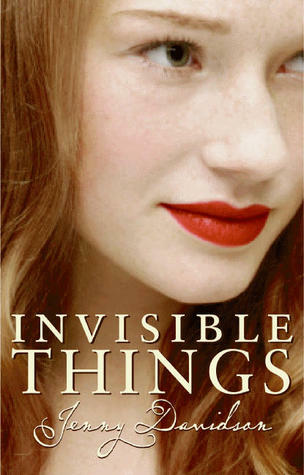 Sixteen year old Nalia has only known her life as Thorvaldor’s Princess. But when her parents give her chilling news her whole life is shattered. She is not the real Princess but a simple commoner who has posed as her while the real one has grown up in a convent to keep herself safe from a prophecy that said she would be killed before her sixteenth birthday. So Nalia, now called Sinda, must live with a long lost aunt who thought she was dead with little more than a few gold pieces to her name. Now she must deal with an aunt who hates her, whispered rumors, and a lack of friends along with a brimming magic that had been held dormant for the past sixteen years. And when Sinda discovers a secret that threatens the crown she must go on a adventure to save her country and the very girl who stole her life. 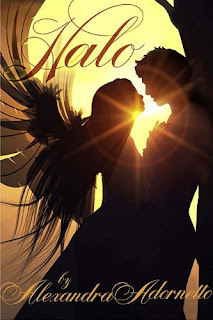 The Good: False Princess was a very enjoyable, fun read that is perfect if you’re looking for a short fantasy read with action, romance, and a bit of magic. This one has plenty of suspense that will keep you reading. The romance is also very good but is not the focus of the book. It adds that little extra umph that keeps things interesting. The characters are all very developed and interesting. I really liked Philantha, Sinda’s magic mentor and employer. She had such an intuitive outlook on life and an unpredictability that was refreshing. She always made me smile. I also have to comment on the fantasy aspect of this one. Fantasy is probably my favorite genre, if I had to pick. I love stories of kings and princess and knights and wizards. It’s all so enchanting. 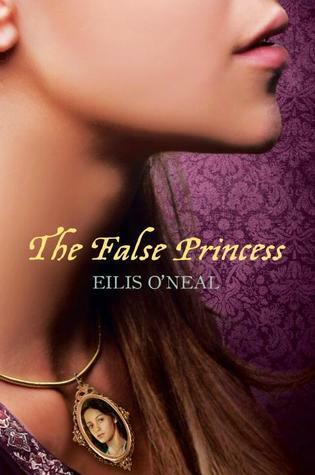 False Princess lived up all my favorites of the genre and was overall a good read. The Bad: False Princess was overall very average. Nothing was noteworthy or very exciting. Nothing to set it apart from other books. So while I recommend it, this book isn’t one your going to be thinking about for weeks to come. It’s not one that will have everyone talking. The Ugly Updates: The False Princess comes out January 25th. O'Neal is a debut novelest, though she has written several short stories. You can check out her site here, her blog here, and her twitter here. ONE MORE STEP UP: is a feature, exculisive to my blog that features books in the Adult genre that would be appropriate for YA readers. This is my first but look for more in the upcoming months. This feature was named by Cathie. Earth has been taken over by aliens. Aliens who go into human bodies and live exactly as they lived. They have won; human resistance is practically obsolete. Melanie was part of this resistance, but now she has been captured and soon an alien will be put inside her, an alien who will lead the Seekers to the rest of her still-human family. Only Wanderer, the alien soul put inside Melanie, can access any information. Melanie has built up walls to hide this information. As Wanderer grows more and more frusterated with her weakness she must make a decision whether or not to give up Melanie’s body to a seeker, one who will force the information out of her. Melanie, who is still very present in her head, an anomaly for this species, is desperate to stay out of the Seekers hands and will do anything to stop Wanderer, including making her fall in love with Melanie’s mate and younger brother. So together the two set out to find the men their heart aches for. The Bad: I am pre-warning you, the beginning of this book is slow and confusing. It takes a little bit to finally understand what in the world is going on with these aliens and their strangely-human-but-also-alien actions. But I promise if you just get past the first 100 pages it will be so worth it! Just please bare with the back-story and set-up for the rest of the story, and then sit back and enjoy this incredible book. The Ugly Updates: Of course as everyone knows, Meyer has written the Twilight series: Twilight, New Moon, Eclipse, and Breaking Dawn. 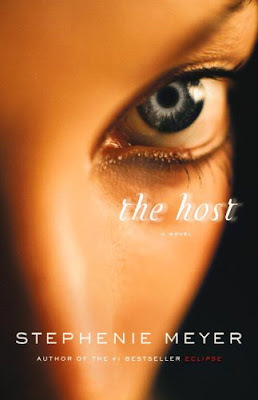 There is a rumor of a Host sequel but nothing concrete. So keep your fingers crossed. Check out Meyer's site for everything Twilight and Host. Ever since her mother’s disappearance 10 years ago, Julia has been able to sense people’s emotions. She can tell when her best friend is sad when she has to skip their movie night and when the boy down the hall wants to ask her to homecoming. When she runs out of gas one night and must travel through the woods alone, she is saved by a mysterious good looking guy, who just happened to be at the right place and the time, from what he called a bobcat though Julia is skeptical. There is an irrational connection between the two and when he leaves her later that night, she can’t help but feel pain from his absence. She is secretly counting down the minutes till she can see him again. Only he doesn’t show. And now kids are mysteriously going missing and Julia can’t help but feel that this strange man may have something to do with it. 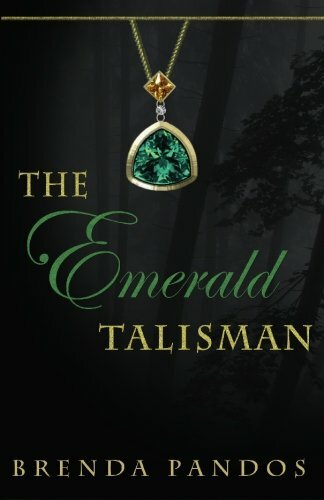 The Good: The Emerald Talisman had a pretty good story line. It kept you intrigued through most of the first half of the book. The mystery really built up well at the beginning. And when the secrets were revealed they were actually somewhat surprising. There wasn’t too much foreshadowing or hinting that made everything obvious and predictable. It was a good story but just lacked in execution. The Bad: This book lacked pizazz and overall excitement. I was quite bored at times. When the climax came, it was very anti-climatic and not very long. I found Pandos writing style to be sort of awkward. That’s the best I can describe it. The sentences were structured oddly and words were used in places where I thought better words could have been used. I found it distracting and the editor inside me wanted to reword all these sentences. The main character, Julia, was not easy relatable. I found her somewhat annoying and petty. Finally, the conclusion drug out way too long. And there was really no purpose for it because there is a sequel to the book. The things that did need wrapped up could have been said out more quickly. Overall, The Emerald Talisman was boring and had an awkward writing style that lacked flow. The Ugly Updates: The sequel, The Sapphire Talisman, is out December 15th, only 9 more days. Look out for a review for that one soon. This is Pandos' debut novel. View a trailer and find more info on the books on the book site. And let me just say, I love this site. It is very professional and efficient. Also check out Pandos' blog, facebook, and twitter. 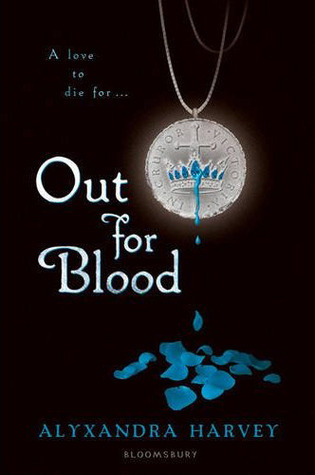 Here are November 2010's new YA releases. Links to Goodreads. Please comment if you like this feature or if its useful/helpful! Feel free to (1)Link your reviews (You don't need a blog! ), (2)Tell me your thoughts if you read/want to read any of these, (3)Comment if I missed any books! Alex always thought she would remember her first time. And when her sister asks her a simple question, did you say yes?, her life is turned upside down. Alex was date-raped. And at her quaint little boarding school, the teachers think to highly of their students to admit that they could ever do anything wrong. Therefore, they feel no need to punish them. With a lack of punishment, the Mockingbirds formed. They are a group who unbeknownst to the administration, tries and convicts those who have done wrong. Alex, with very little options, goes to the Mockingbirds and starts a journey that will have huge consequences. Alex chooses to stand up for herself but she may just lose herself along the way. The Good: I really enjoyed this book. It was a great change of pace for me. The message behind the story is really an empowering one. Its inspiring and eye-opening. I like the minor characters a bit more than the main. They really stood as good examples of what kind of people are in a high school rather than being stereotypical. I think Alex’s sister Casey and Martin were my favorite with Alex’s roommate and friend, Maia, a close second. These characters had strong opinions and even stronger personalities. They were the kind of people I would want as my friends. 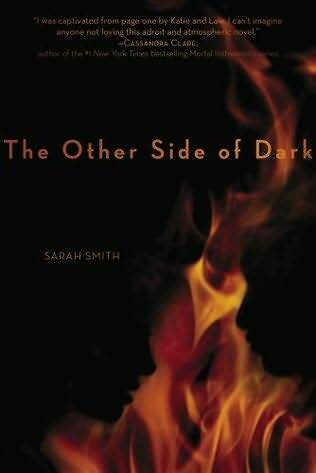 The Bad: The thing I most dislike about this novel was the Alex, the main character. It was really hard for me to relate to her. She did things and reacted to her situation completely differently then I would have. That made it difficult to sympathize with her or even understand her. I got frustrated and annoyed with her. The situation of a school where the authorities (teachers and administrators) were too close-minded to accept their responsibility of exercising their authority seemed too unrealistic. I couldn’t wrap my head around students resorting to secret trials in the laundry room and stealing birthday cake to assert their authority. I kept thinking, “But this would never happen in real life.” The unrealistic nature was distracting. And just to make things clear, I enjoy and recognize the unrealistic nature of paranormal, sci-fy, and fantasy books. But they are quite different from realistic fiction. Realistic fiction should ultimately be realistic. Overall despite the lack of connection with this book, I enjoyed it and it had an amazing message that came across in an interesting and clever way. The Ugly Updates: The Mockingbirds came out November 2nd. Whitney is a journalist and producer, as well as a debut author. She also hosts her own web-show on the business of Internet video. So if you want to learn more about her and her web-show visit her sight here. The Mockingbirds' sequel will come out next fall and will be the last book with these characters. But don't be alarmed, Whitney has lots of other projects in the works, which is very exciting to hear. 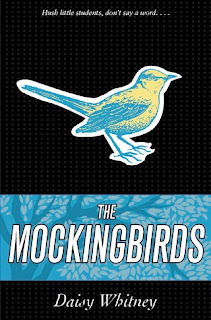 Stay up to date on Mockingbirds info on Whitney's blog. Learn more about the Mockingbirds book on its site. And like the book on Facebook.And follow Whitney on Twitter. I just want to apologize for the lack of reviews lately. I am taking some very hard classes this year and they are keeping me very busy. So I just ask that you guys keep reading and just bare with me for the next couple of months. Thanks! I'm sorry for the delay on this one guys! Have a great Thanksgiving! The Good: This book was strangely addicting and I have no idea why. I kept wanting to pick it up and read a little more. Unearthly is also very good in the romance department, you just have to be patient. Hand does a really good job with the characters. Clara is my favorite by far. She is just a teenage girl who has to find new friends and discover herself just like everyone else. Overall the book was enjoyable. The Bad: Unearthly left me very unsatisfied. It lacked intrigue towards the beginning and everything good seemed to happen in the last 50 pages. It was good but not extraordinary. We get very little information about the angel and angel-blood community. It is on a more need-to-know basis which was disappointing. And at the end there was no conclusion. No questions were answered. It was like going up the rollercoaster and on your way down stopping 3/4 of the way down. Overall Unearthly was average and lacking in some key areas like action and character development, specifically the minors. 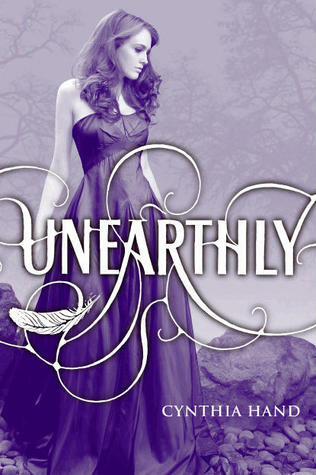 Ugly Updates: Unearthly is out January 4th, 2011. So add it to your post-Christmas list, so you can buy it with your Christmas Border's gift cards and money. Or preorder it via Amazon here so that you can give yourself a late Christmas gift :) Also Hand has a website by at this point it is very limited, and I mean very limited. But she does have a blog that you can check out for more info about her and her books. Three angels are sent down to bring good to the world: Gabriel, the warrior; Ivy, the healer; and Bethany, a teenage girl who is the least experienced of the trio. But she is the most human, and when she is romantically drawn to a mortal boy, the angels fear she will not be strong enough to save anyone—especially herself—from the Dark Forces. Is love a great enough power against evil? The Bad: This was one of the worst books I have read in a long time. The first thing that bothered me was the completely unrealistic nature of the whole book. There were so many times that the characters did completely ridiculous things that no one would ever do. They didn’t stay consistant throughout the book. No actions made sense. A lot of the book seemed to revolve around the romance. And normally I would be all over that but this time it wasn’t executed well. Certain actions seemed have the goal of putting the main couple in romantic situations rather than to keep the story interesting. There was also a huge lack of action or suspense. I really don’t know how I finished it. When the climax finally came it was like a small speed bump compared to the mountain a good book would have. The story was overall boring and unsophisticated. The Good: Halo is written by a 17 year old and I just wanted to commend her. Because as person who hates to write, I deeply respect those who can. And getting published at 14 (her first book …) is such an incredible thing. So all you young authors out there have faith! Ugly Updates: Follow Adornetto on Facebook and Twitter. You can find the rest of Adornetto's book on Goodreads here: Hades (Halo 2), Heaven (Halo 3). Adornetto has also written some children's books. You can check them out on her Goodreads account. I'm including the summary from the publisher, rather than my own because I really like this one and It's very spoiler free. The Good: Let me start with saying I have never read a book where the cover so accurately described the writing style. Not the topic or anything, because obviously a cover should go with that, but the way the author describes the events, characters, and setting. This cover would attract me from across the store. Something with the vibrant colors and the overall just oddness of it. And the book is very much like it. Blubaugh writing style is very unique and kind of difficult to explain. All I know is that I loved it. She used these lists to explain things in a tastefully efficient way. And the ending of this one is worth it so stick it through. The Bad: I cannot even begin to describe the weirdness of this book. This really is about puppets. And I mean the whole book. While this weirdness is not a bad thing, it is something to be weary of. Just don’t expect a novel with action and adventure. Expect puppets, crazy faeries, and gay men. But enjoy this one because it is worth your time and I think most people will enjoy the weirdness. 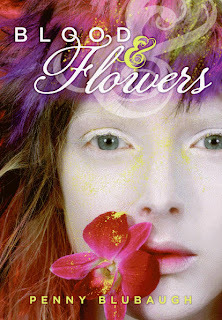 Ugly Updates: Blood and Flowers comes out on March 1, 2011. As for a sequel, I don't think there will be one, there is no info about it but you never know. Blubaugh also has a book, Serendipity Market, that is out. Blubaugh site is poorly updated but you can check it out anyway for her bio, blog, and books she's read. Also, follow her on Twitter. Here's a short review for a short little book. Enjoy! Cheyenne is blind, has been for three years when the accident happened. And one afternoon when she is waiting in the car for her stepmom to pick up her pneumonia prescription her car is stolen. With her in the back seat. Now she must find a way to escape with or without the help of her accidental kidnapper, Griffin. Who may or may not feel a connection with Cheyenne. The Good: This book was so good. I really enjoyed the suspense throughout the novel. It never let up. When we got towards the end of the book you thought everything was over and then BAM! Nothing is what it seems. 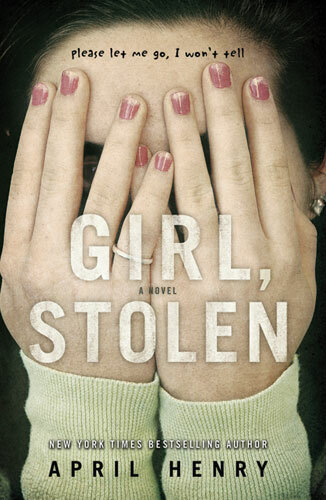 Girl, Stolen was a very quick read, in a good way. That was a nice break from the other stuff I’ve been reading lately. I absolutely adored “seeing” through Cheyenne’s eyes. It really made me think about how I would act if I came in contact with a blind person. There are a lot of things I never even considered and Henry brought them up. You really should pick this book up. I think no matter what type of books you prefer you will like this one. The Bad: I don’t really have anything bad to say about this one. Henry did an excellent job! 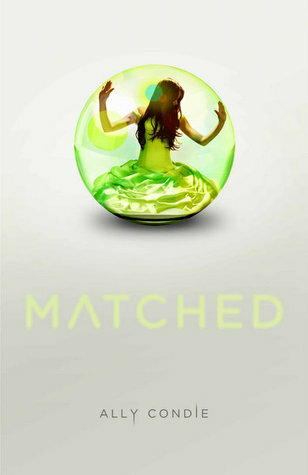 Ugly Updates: Henry has written two other mysteries for teens: Shock Point and Torched (Links to Goodreads). I will definitely be checking these out. Henry has also written a whole bunch of Adult novels. Check them out at Henry's site. Also check there for tips for young writers, a whole bunch of fun links, her blog, and more info about Henry. Finally, order Girl, Stolen via Amazon here because it is such a good one. View my review of the first book in the series The Body Finder here. Violet hears echoes – sounds, smells, visions of dead people. They call to her when the person – or thing – has not been put to rest, buried in peace. They are insistent pull towards the corpse one that is also mimicked on the killer. Violet has been haunted by this ability. It has always made her so much different from everyone else. Even her best friend, newly her boyfriend, who has known of her ability for forever. As Violet desperately tries to find a place to belong, maybe with Sarah Priest, an FBI agent who seems to know more than she’s letting on, Jay is preoccupied with the new family who has moved into town. A new family that drives a wedge between Jay and Violet and a family who may or may not be threatening Violet. The Good: Derting has done it again. Desires of the Dead is such a good read. She keeps you on the edge of your seat practically the whole book. Violet is her sincere and reckless self. And Jay is his funny and super sweet self. Also for all of you wondering the romance is just as good as Body Finder. It is steamy enough to make you sweat and angst-y to keep it interesting. This novel is a great read if you want a semi-quick book with tons of suspense and yummy romance with a tad twist of supernatural. The Bad: Derting’s books fall under my “feel good” books. I have these books that I could read over and over again. They usually have tons of romance. Some of my books are Shiver by Maggie Stiefvater, Evermore by Alyson Noel, The Host by Stephanie Meyer, and the Wake Trilogy by Lisa McMann. These are some of the books I will pick up and read my favorite parts, skimming over the boring parts, when I feel down or sad. Now I know this doesn’t sound bad but I’m getting there. What most of these books have in common are a lack of a huge back story and an uber twisty plot. They are usually a little predictable and romance heavily dominates. Desires of the Dead is both. So don’t read this book expecting to be pulled into a heavy conspiracy theory where everyone and their brother is in on it except the main character. Expect a quick read that is predictable and unrealistic at times but is enjoyable none the less. 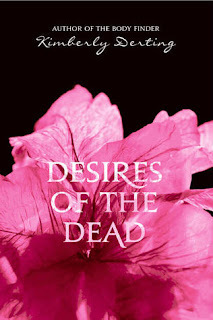 Ugly Updates: Desires of the Dead comes out March 15, 2011. And I know it is torture for me to post this and you not to be able to go buy out it right now but this is one your going to want to pre-order and you can do that here via Amazon. Check out Derting's site to stay up to date on events this spring and to learn more about her. Also Derting updates her blog regularly so be sure to follow her.